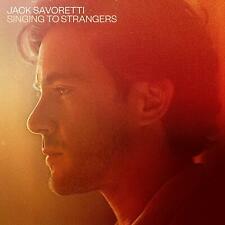 Save jack savoretti cd to get e-mail alerts and updates on your eBay Feed. Unfollow jack savoretti cd to stop getting updates on your eBay feed. JACK SAVORETTI Sleep No More + Live & Acoustic 2-CD NEW/SEALED double pack. This page was last updated: 26-Apr 08:54. Number of bids and bid amounts may be slightly out of date. See each listing for international postage options and costs.